Burberry was once the height of upper-class British fashion, with Humphrey Bogart and Audrey Hepburn donning its iconic trench coats which retail for thousands and thousands of pounds. Owning a piece of Burberry-cheqed clothing was aspirational, a sign of success. Yet in the 1980’s and 1990’s the brand began juicing short-term profits by licensing its pattern and logo to manufacturers of everything from cut-rate clothes to liquor to dog toilet paper. Burberry became the uniform of the “chav” — British slang for trashy people trying to appear classier than they are through gaudy fashion. Soccer hooligans, sketchy streetpeople, and a C-list celebrities causing trouble became associated with Burberry. The brand reached its low when a washed up British soap opera actress who’d had her septum removed due to cocaine abuse hit the front of the tabloids with her child, both covered head-to-toe in the Burberry chequered print. While cheap licensed products and counterfeits flooded the streets, tarnishing the brand’s image, sales of the expensive fashion-wear that’s the foundation of Burberry’s business took a nosedive. Burberry was no longer a sign of high-status, and fashion mavens began to look elsewhere. “Unapologetically plastic” is how its designer Sir Jonny Ive describes the new iPhone 5c that debuted last week. “Those cheap-y, plastic-y phones” is how a less tech-conscious friend of mine described the 5c to me last weekend over brunch. “I don’t like the new iPhone (meaning the premium 5s) because they made those cheap-y, plastic-y phones too”. This sure as hell isn’t an expansive empirical study or representative sample of opinions of the 5c. It’s a one-off anecdote. But I doubt my friend is the only one who feels this way, consciously or sub-consciously, and it’s a perception Apple should be concerned with. There are lots of reasons to sell a plastic iPhone. It gives consumers a choice beyond just an older model. It’s more durable than a glass iPhone 4S. It could help Apple expand its marketshare, thereby keeping iOS the first choice of platforms for developers. Its bright colors and price point could appeal to kids as they transition from iPods to smartphones. Apple’s colored iMacs and iPods certainly sold well. And it keeps Apple from having to sell the pricey industrial design that went into the iPhone 5 (now taken off the market) at a discount. Done tactfully, the iPhone 5c could be a huge short and long-term win for Apple. It might become the best-selling iPhone ever. But being “unapologetic” about the plastic iPhone has its pitfalls. Even if the phone is well made (check out our iPhone 5c review), and the $99 on contract price point doesn’t actually put a “cheaper” phone in Apple’s lineup, just the fact that it costs less than the 5s causes some people to perceive the iPhone 5c as “cheap”, and perception matters. Again, the $99 on contract iPhone 5c is not cheaper than buying a year old iPhone like Apple used to sell, but it may be perceived as cheap. The colors it comes in don’t do it any favors. They scream PlaySkool souvenir kid’s toy — the opposite of sophistication. Considering Apple has become one of the world’s most valuable companies by selling sophistication to those who can afford to pay a high margin, this is risky business. 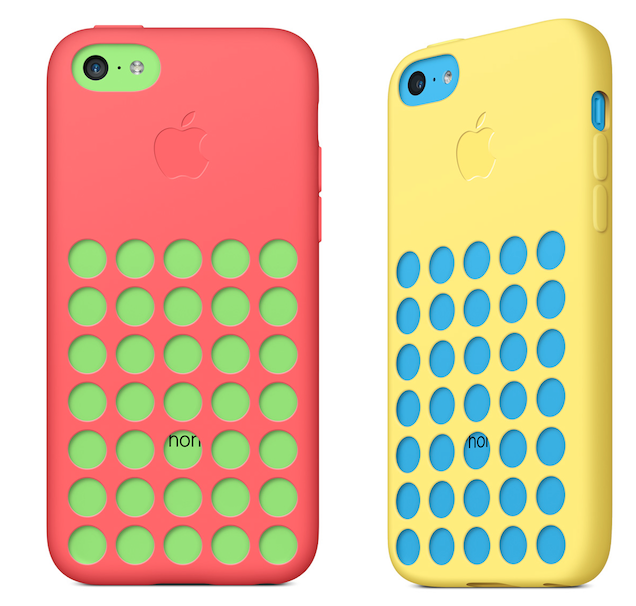 But rather than try to mitigate the perception of the iPhone 5c as cheap, Apple’s $29 colored rubber cases make it even worse. They’ve been promoted in eye-bleed color combinations like a green phone with a pink case. The sight of those highlighter iPhone 5c’s in the hands of kids and others who couldn’t afford a 5s could leave wealthier consumers less enamored with the iPhone brand as a whole. Is this judgement and classism terrible? Yes, but that won’t stop people. Burberry was able to save itself by hiring a new CEO, Angela Ahrendts, who led an effort to buy back 23 of its licenses and fight counterfeiters. Ahrendts also scaled back its signature plaid so it appeared on just 5% of Burberry clothing instead of 20%. It signed on new faces for the brand like Emma Watson, and sued people who used its trademark illegally. Burberry is even working with Apple and the 5s to capture photos of its new fashion line. Soon, Burberry regained its image as a sought-after upscale brand, and sales of its pricier items soared, and Burberry revenue has more than doubled to ₤1.9 billion. 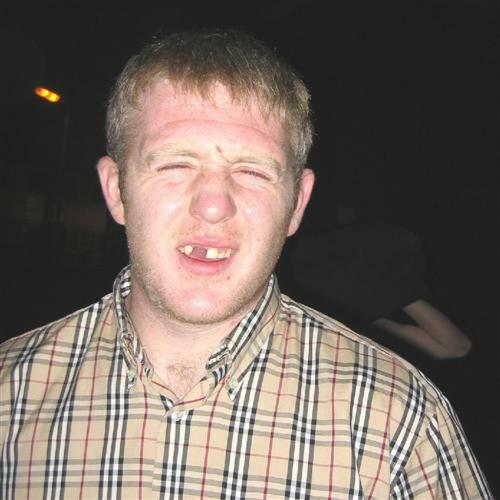 However, the chav image still haunts Burberry to this day. Still, Apple should heed these lessons as it promotes the iPhone 5c. It’s fine to appeal to a larger swath of the market and give people choice in pricing. But it must strive to maintain the iPhone’s image as the classiest handset on the market. That might mean toning down the color clashing when it promotes the 5c cases, carefully choosing where it promotes what model, and realizing it can be proud of its plastic without unapologetically alienating high-end buyers. Otherwise, a few years down the road it might be the one saying sorry to investors.